We recently showed you a nifty little trick to free up space on your iOS device by clearing the Google Maps cache. There’s another neat trick for reclaiming wasted space on your phone, which ironically, requires you to download more apps to your phone. 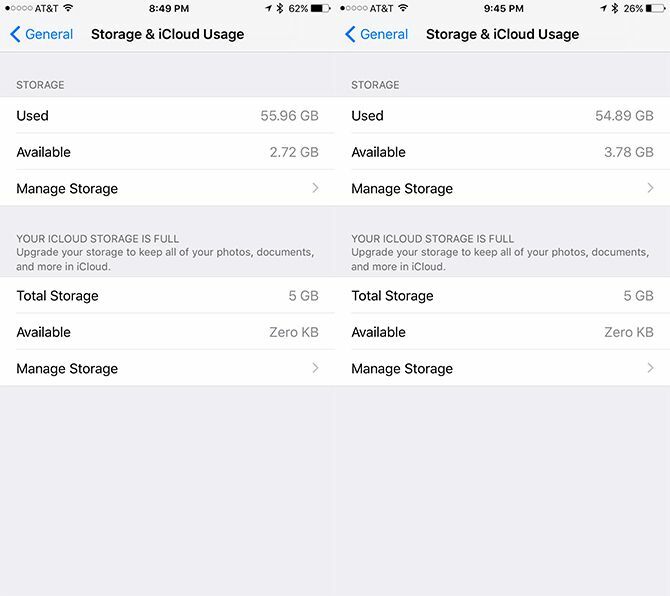 What you need to do is check your phone’s storage by going to Settings > General > Storage and iCloud Usage. There you can see how much available storage you have. Next, go to the App store and download a large app — make sure the download size of the app exceeds your available storage. FIFA 16 Ultimate Team, for example, is a huge (and free) app taking up 1.4 GB worth of space while Lego Star Wars: The Force Awakens is over 1.2 GB. Or go all out with Hearthstone: Heroes of Warcraft which is even bigger at 2 GB. The app will begin to download until it runs out of space. In an attempt to free up space for your large app, your phone will clear out temporary files that you don’t need. Unfortunately, Apple doesn’t make it easy to get rid of these files, but this workaround should work like a charm. Using it on my phone, I was able to free up over 1 GB worth of space. What tricks do you have for freeing up space on your phone or tablet? Let us know in the comments.